Some examples of areas still occur. One of the salvor’s main roles is to stop this from where cooperation can be happening: keeping pollutants in the ship or safely removing heightened include contracting them and thereby preventing an emergency turning into a pol- terms and conditions, dealing lution catastrophe. 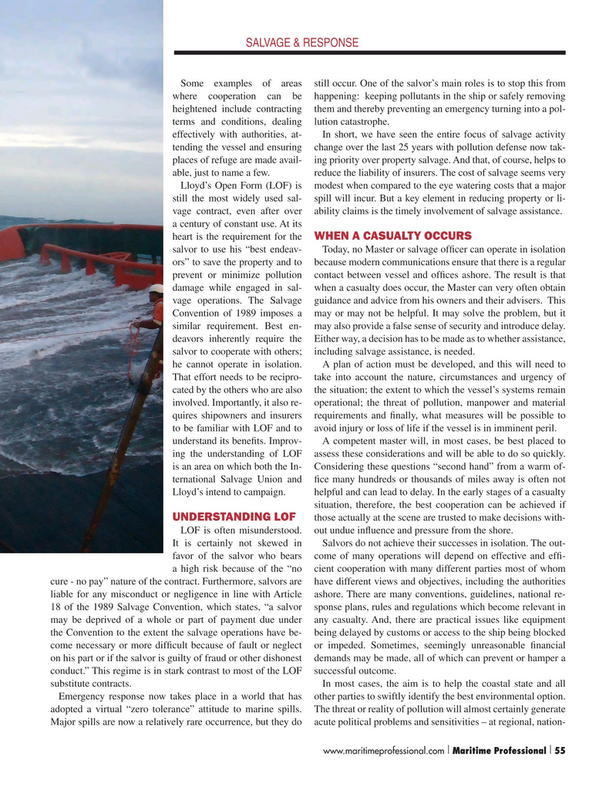 Lloyd’s Open Form (LOF) is modest when compared to the eye watering costs that a major still the most widely used sal- spill will incur. But a key element in reducing property or li- vage contract, even after over ability claims is the timely involvement of salvage assistance.